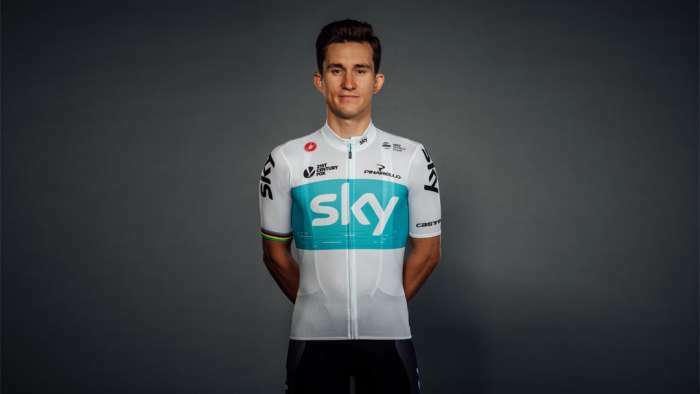 The kit, produced with Team Sky’s Performance Clothing Partner Castelli, will give the team a new look for the new season. 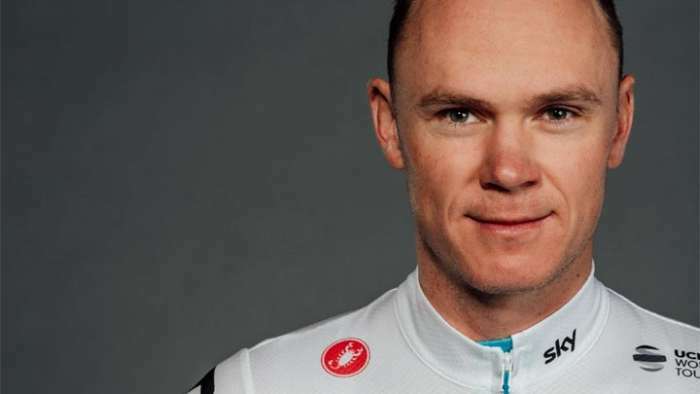 However, the kit also retains many of the features that have made Team Sky riders so recognizable in the peloton. Victories from 2010-2016 are now in one place on the back of the jersey, with all the wins from the historic 2017 season represented by a pattern embedded within a blue band across the front of the new jersey. 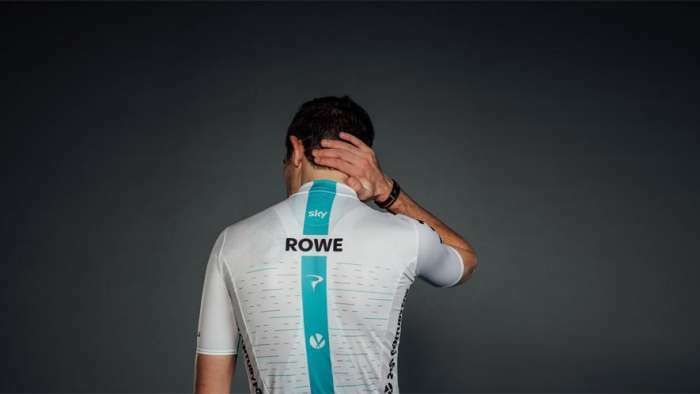 The reintroduction of the blue band is inspired by the design of the kits worn by Team Sky in their first years of racing. 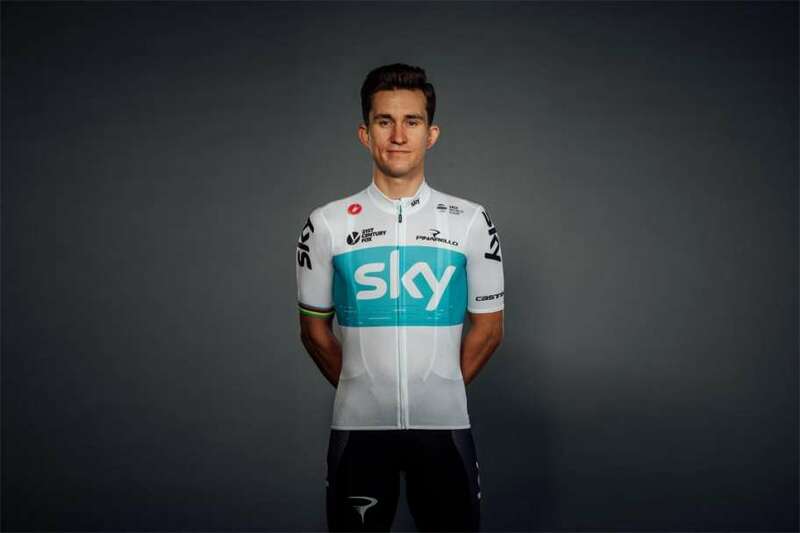 “We initially changed to white jerseys for the Tour de France last summer, and it was the feedback from riders and the response from our fans that inspired us to go white for the 2018 season. “Our ambition is for our riders to have the leading performance clothing in the peloton, and we believe that the 2018 kit is our best yet”. 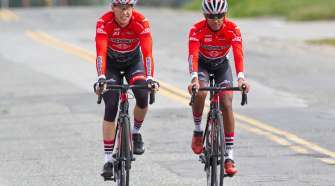 “Castelli have a long record of innovation within our sport, both in terms of performance and design. 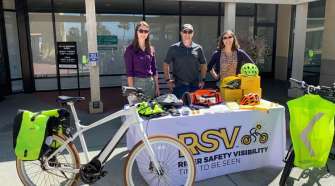 “They put performance first and are pioneers in research and development. They put the rider at the heart of their thinking and our 2018 kit reflects that. “From the outset, we quickly developed the high levels of dialogue and communication that have characterized our partnership. 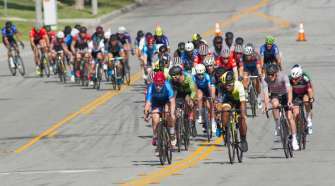 That has enabled us to work dynamically on the testing, feedback and development cycle, combining our knowledge and experience and applying that straight to the rider and their performance in both training and racing. Our success in 2017 is a testament to that collaborative approach. 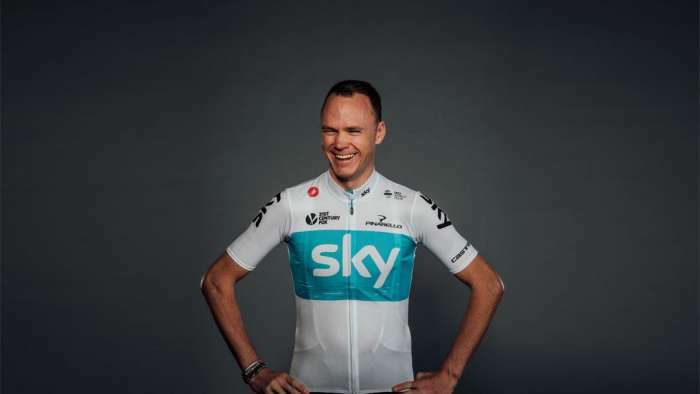 Steve Smith, Brand Manager at Castelli, said, “Since we began our partnership with Team Sky they have embraced new ideas around every aspect of the team kit. “That attitude has given us the opportunity to work with them to create something unique and different for 2018. 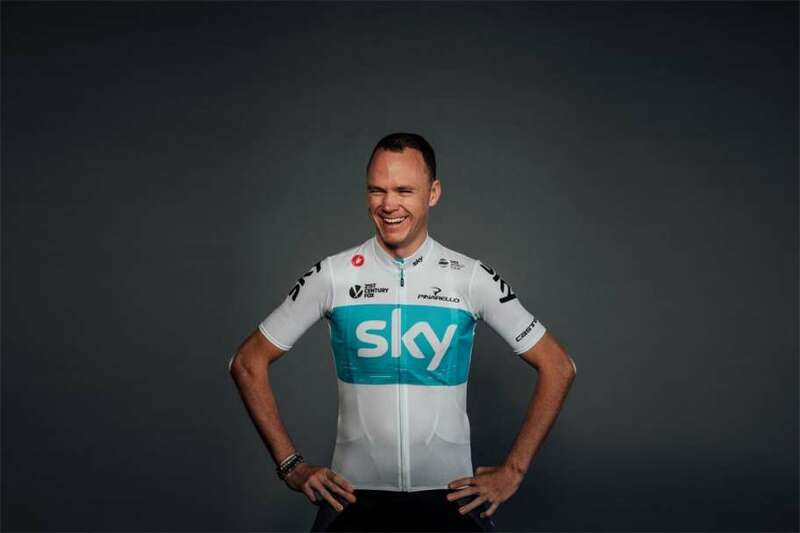 Not only does the new kit look great, but we’re confident it will be the best performing Team Sky kit yet. 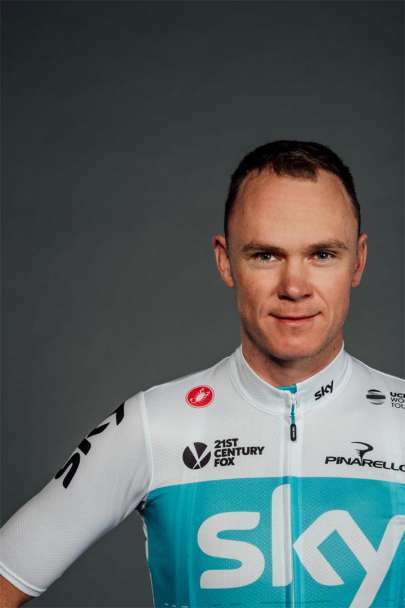 “Castelli and Team Sky have worked closely throughout 2017 to refine, update and improve all aspects of the kit. Riders and staff have been right at the heart of the process, influencing everything from design through to the specific technical updates we have made. “We’re proud of our partnership with Team Sky and we’re looking forward to more success together in 2018”.